We do not have any donor information for the donor Barbara McDowell and Gerald S. Hartman Foundation in our system. American Immigration Council 30,000.00 1 2019 FIXME http://www.mcdowellfoundation.org/our-grants -- Affected regions: FIXME; affected countries: FIXME. Center for Gender and Refugee Studies 30,000.00 1 2019 FIXME http://www.mcdowellfoundation.org/our-grants -- Affected regions: FIXME; affected countries: FIXME. National Center for Law and Economic Justice 30,000.00 1 2019 FIXME http://www.mcdowellfoundation.org/our-grants -- Affected regions: FIXME; affected countries: FIXME. Prisoner’s Legal Services of Massachusetts 30,000.00 1 2019 FIXME http://www.mcdowellfoundation.org/our-grants -- Affected regions: FIXME; affected countries: FIXME. 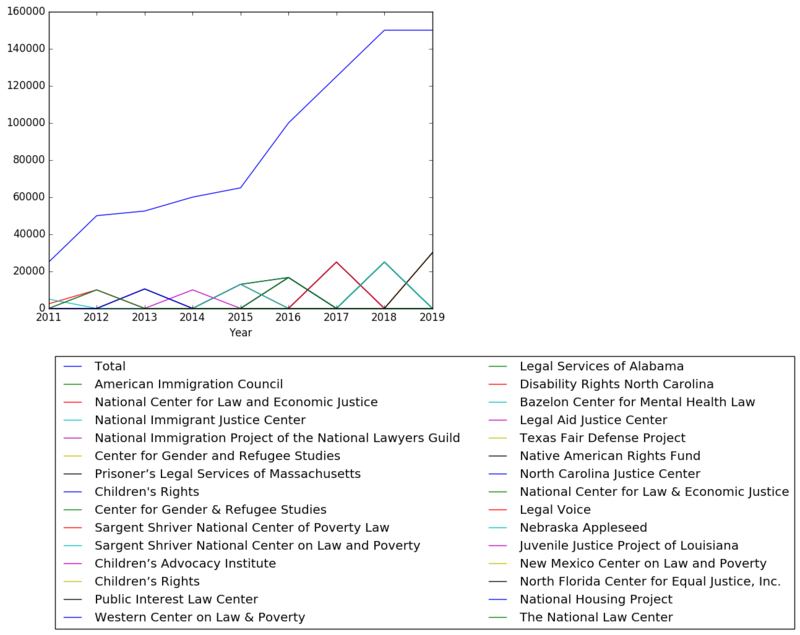 National Immigration Project of the National Lawyers Guild 30,000.00 1 2019 FIXME http://www.mcdowellfoundation.org/our-grants -- Affected regions: FIXME; affected countries: FIXME. Children’s Rights 25,000.00 6 2018 FIXME http://www.mcdowellfoundation.org/our-grants -- Six month report: http://www.mcdowellfoundation.org/Websites/mcdowellfoundation/images/PDFs_2018/Childrens-Rights-Report-2018-mid.pdf Year end report: http://www.mcdowellfoundation.org/Websites/mcdowellfoundation/images/PDFs_2018/Childrens-Rights-final-2018.pdf. Affected regions: FIXME; affected countries: FIXME. Legal Services of Alabama 25,000.00 6 2018 FIXME http://www.mcdowellfoundation.org/our-grants -- Six month report: http://www.mcdowellfoundation.org/Websites/mcdowellfoundation/images/PDFs_2018/LSA-2018-mid.pdf Year end report: http://www.mcdowellfoundation.org/Websites/mcdowellfoundation/images/PDFs_2018/legal-services-alabama-final-2018.pdf. Affected regions: FIXME; affected countries: FIXME. Bazelon Center for Mental Health Law 25,000.00 6 2018 FIXME http://www.mcdowellfoundation.org/our-grants -- Six month report: http://www.mcdowellfoundation.org/Websites/mcdowellfoundation/images/PDFs_2018/Bazelon-Center-2018-mid.pdf Year end report: http://www.mcdowellfoundation.org/Websites/mcdowellfoundation/images/PDFs_2018/Bazelon-Center-final-2018.pdf. Affected regions: FIXME; affected countries: FIXME. 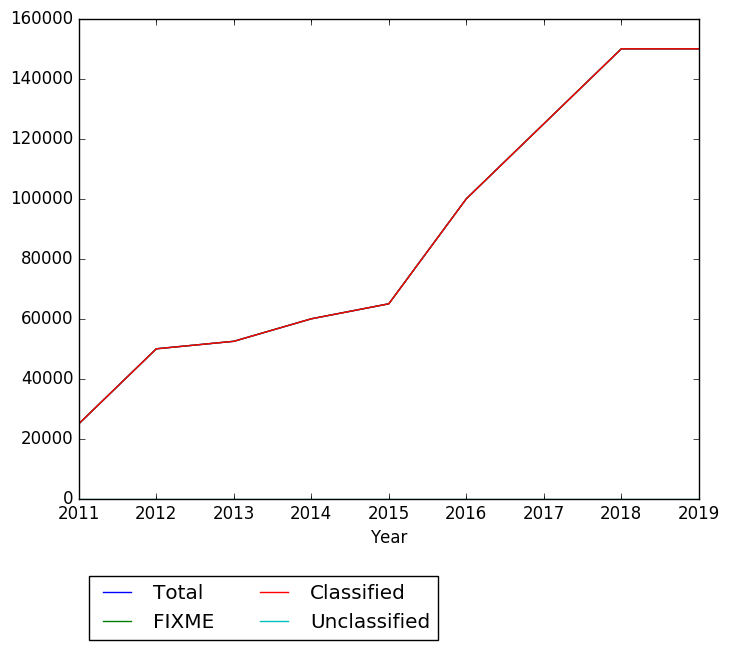 Public Interest Law Center 25,000.00 6 2018 FIXME http://www.mcdowellfoundation.org/our-grants -- Six month report: http://www.mcdowellfoundation.org/Websites/mcdowellfoundation/images/PDFs_2018/Public-Interest-Law-Center-2018-mid.pdf Year end report: http://www.mcdowellfoundation.org/Websites/mcdowellfoundation/images/PDFs_2018/Public-Interest-Law-Center-final-2018.pdf. Affected regions: FIXME; affected countries: FIXME. Sargent Shriver National Center on Law and Poverty 25,000.00 6 2018 FIXME http://www.mcdowellfoundation.org/our-grants -- Six month report: http://www.mcdowellfoundation.org/Websites/mcdowellfoundation/images/PDFs_2018/Shriver-Center-2018-mid.pdf Year end report: http://www.mcdowellfoundation.org/Websites/mcdowellfoundation/images/PDFs_2018/Shriver-Center-final-2018.pdf. Affected regions: FIXME; affected countries: FIXME. Children’s Advocacy Institute 25,000.00 6 2018 FIXME http://www.mcdowellfoundation.org/our-grants -- Six month report: http://www.mcdowellfoundation.org/Websites/mcdowellfoundation/images/PDFs_2018/Childrens-Advocacy-Institute-2018-mid.pdf Year end report: http://www.mcdowellfoundation.org/Websites/mcdowellfoundation/images/PDFs_2018/Childrens-Advocacy-Institute-final-2018.pdf. Affected regions: FIXME; affected countries: FIXME. American Immigration Council 25,000.00 6 2017 FIXME http://www.mcdowellfoundation.org/our-grants -- Six month report: http://www.mcdowellfoundation.org/Websites/mcdowellfoundation/images/PDFs_2017/American-Immigration-Council-six-month.pdf Year end report: http://www.mcdowellfoundation.org/Websites/mcdowellfoundation/images/PDFs_2017/American-Immigration-Council-Final-Report-2017.pdf. Affected regions: FIXME; affected countries: FIXME. Disability Rights North Carolina 25,000.00 6 2017 FIXME http://www.mcdowellfoundation.org/our-grants -- Six month report: http://www.mcdowellfoundation.org/Websites/mcdowellfoundation/images/PDFs_2017/Disability-Rights-of-North-Carolina-six-month.pdf Year end report: http://www.mcdowellfoundation.org/Websites/mcdowellfoundation/images/PDFs_2017/Disability-Rights-NC-Final-Report-17.pdf. Affected regions: FIXME; affected countries: FIXME. 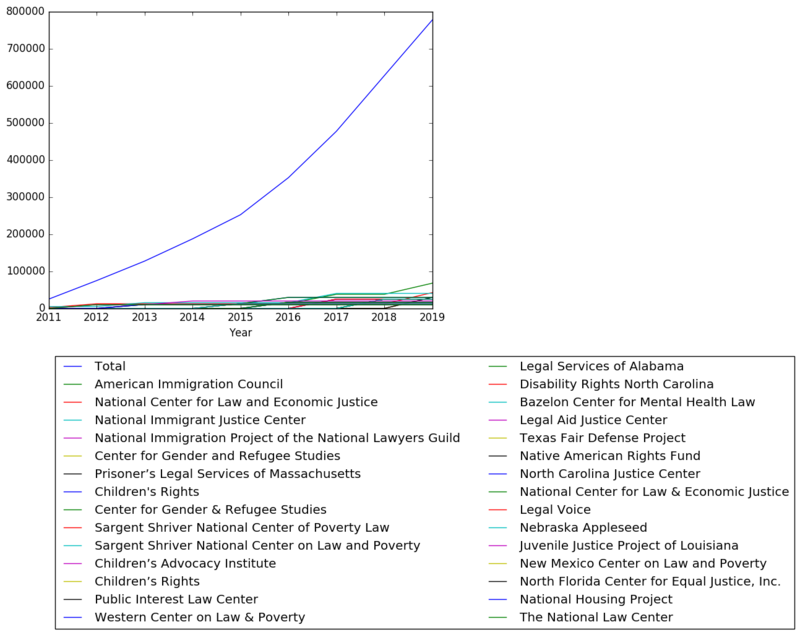 National Immigrant Justice Center 25,000.00 6 2017 FIXME http://www.mcdowellfoundation.org/our-grants -- Six month report: http://www.mcdowellfoundation.org/Websites/mcdowellfoundation/images/PDFs_2017/National-Immigrant-Justice-Center-six-month.pdf Year end report: http://www.mcdowellfoundation.org/Websites/mcdowellfoundation/images/PDFs_2017/National-Immigrant-Justice-Center-Final-Report-2017.pdf. Affected regions: FIXME; affected countries: FIXME. Sargent Shriver National Center of Poverty Law 25,000.00 6 2017 FIXME http://www.mcdowellfoundation.org/our-grants -- Six month report: http://www.mcdowellfoundation.org/Websites/mcdowellfoundation/images/PDFs_2017/The-Sargent-Shriver-National-Center-on-Poverty-Law-six-month.pdf Year end report: http://www.mcdowellfoundation.org/Websites/mcdowellfoundation/images/PDFs_2017/Shriver-Center-Final-Report-2017-Part-One.pdf. Affected regions: FIXME; affected countries: FIXME. Western Center on Law & Poverty 25,000.00 6 2017 FIXME http://www.mcdowellfoundation.org/our-grants -- Six month report: http://www.mcdowellfoundation.org/Websites/mcdowellfoundation/images/PDFs_2017/Western-Center-on-Law-Poverty-six-month.pdf Year end report: http://www.mcdowellfoundation.org/Websites/mcdowellfoundation/images/PDFs_2017/Western-Center-on-Law-and-Poverty-Final-Report-2017.pdf. Affected regions: FIXME; affected countries: FIXME. Center for Gender & Refugee Studies 16,667.00 17 2016 FIXME http://www.mcdowellfoundation.org/our-grants -- Six month report: http://www.mcdowellfoundation.org/Websites/mcdowellfoundation/images/PDFs_2016/Center-for-Gender-and-Refugee-Studies-mid16.pdf Year end report: http://www.mcdowellfoundation.org/Websites/mcdowellfoundation/images/PDFs_2016/CGRS-Year-End-2016.pdf. Affected regions: FIXME; affected countries: FIXME. Children's Rights 16,667.00 17 2016 FIXME http://www.mcdowellfoundation.org/our-grants -- Six month report: http://www.mcdowellfoundation.org/Websites/mcdowellfoundation/images/PDFs_2016/Childrens-Rights-mid16.pdf Year end report: http://www.mcdowellfoundation.org/Websites/mcdowellfoundation/images/PDFs_2016/Childrens-Rights-Year-End-2016.pdf. Affected regions: FIXME; affected countries: FIXME. National Center for Law & Economic Justice 16,667.00 17 2016 FIXME http://www.mcdowellfoundation.org/our-grants -- Six month report: http://www.mcdowellfoundation.org/Websites/mcdowellfoundation/images/PDFs_2016/National-Center-for-Law-and-Economic-Justice-mid16.pdf Year end report: http://www.mcdowellfoundation.org/Websites/mcdowellfoundation/images/PDFs_2016/NCLEJ-Year-End-2016.pdf. Affected regions: FIXME; affected countries: FIXME. Native American Rights Fund 16,667.00 17 2016 FIXME http://www.mcdowellfoundation.org/our-grants -- Six month report: http://www.mcdowellfoundation.org/Websites/mcdowellfoundation/images/PDFs_2016/Native-American-Rights-Fund-mid16.pdf Year end report: http://www.mcdowellfoundation.org/Websites/mcdowellfoundation/images/PDFs_2016/NARF-Year-End-2016.pdf. Affected regions: FIXME; affected countries: FIXME. North Carolina Justice Center 16,667.00 17 2016 FIXME http://www.mcdowellfoundation.org/our-grants -- Six month report: http://www.mcdowellfoundation.org/Websites/mcdowellfoundation/images/PDFs_2016/North-Carolina-Justice-Center.pdf Year end report: http://www.mcdowellfoundation.org/Websites/mcdowellfoundation/images/PDFs_2016/North-Carolina-Justice-Center-Year-End-2016.pdf. Affected regions: FIXME; affected countries: FIXME. Texas Fair Defense Project 16,667.00 17 2016 FIXME http://www.mcdowellfoundation.org/our-grants -- Six month report: http://www.mcdowellfoundation.org/Websites/mcdowellfoundation/images/PDFs_2016/Texas-Fair-Defense-Project-mid16.pdf Year end report: http://www.mcdowellfoundation.org/Websites/mcdowellfoundation/images/PDFs_2016/Texas-Fair-Defense-Project-Year-End-2016.pdf. Affected regions: FIXME; affected countries: FIXME. American Immigration Council 13,000.00 23 2015 FIXME http://www.mcdowellfoundation.org/our-grants -- Six month report: http://www.mcdowellfoundation.org/Websites/mcdowellfoundation/images/PDFs_2015/Immigration-Council-Six-Month-2015.pdf Year end report: http://www.mcdowellfoundation.org/Websites/mcdowellfoundation/images/PDFs_2015/AIC-2015.pdf. Affected regions: FIXME; affected countries: FIXME. Center for Gender & Refugee Studies 13,000.00 23 2015 FIXME http://www.mcdowellfoundation.org/our-grants -- Six month report: http://www.mcdowellfoundation.org/Websites/mcdowellfoundation/images/PDFs_2015/Center-for-Gender-Refugee-Studies-Six-Month-2015.pdf Year end report: http://www.mcdowellfoundation.org/Websites/mcdowellfoundation/images/PDFs_2015/Center-for-Gender-2015.pdf. Affected regions: FIXME; affected countries: FIXME. Children's Rights 13,000.00 23 2015 FIXME http://www.mcdowellfoundation.org/our-grants -- Six month report: http://www.mcdowellfoundation.org/Websites/mcdowellfoundation/images/PDFs_2015/Childrens-Rights-Interim-Report-Six-Month-2015.pdf Year end report: http://www.mcdowellfoundation.org/Websites/mcdowellfoundation/images/PDFs_2015/Childrens-Rights-2015.pdf. Affected regions: FIXME; affected countries: FIXME. 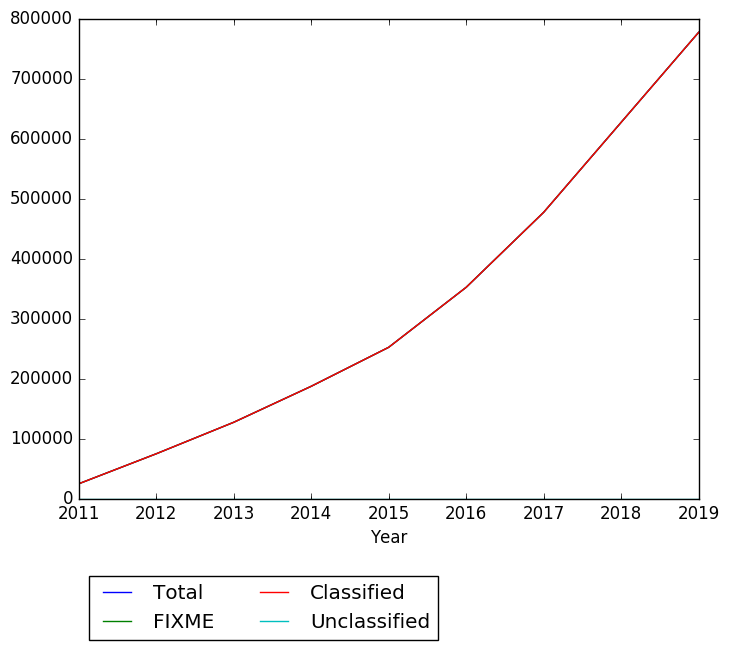 Legal Voice 13,000.00 23 2015 FIXME http://www.mcdowellfoundation.org/our-grants -- Six month report: http://www.mcdowellfoundation.org/Websites/mcdowellfoundation/images/PDFs_2015/Legal-Voice-Six-Month-2015.pdf Year end report: http://www.mcdowellfoundation.org/Websites/mcdowellfoundation/images/PDFs_2015/Legal-Voice-2015.pdf. Affected regions: FIXME; affected countries: FIXME. 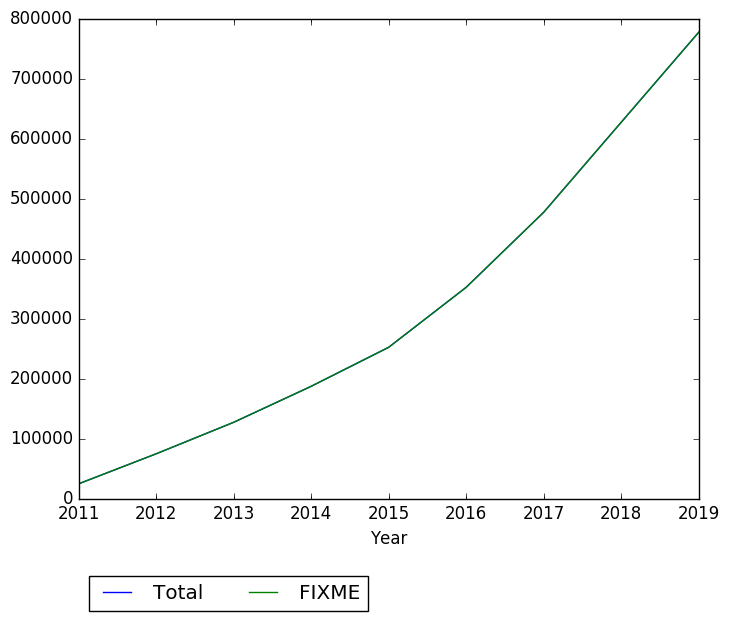 Nebraska Appleseed 13,000.00 23 2015 FIXME http://www.mcdowellfoundation.org/our-grants -- Six month report: http://www.mcdowellfoundation.org/Websites/mcdowellfoundation/images/PDFs_2015/Nebraska-Appleseed-_20150303.pdf Year end report: http://www.mcdowellfoundation.org/Websites/mcdowellfoundation/images/PDFs_2015/Appleseed-2015.pdf. Affected regions: FIXME; affected countries: FIXME. Bet Tzedek Legal Services 10,000.00 33 2014 FIXME http://www.mcdowellfoundation.org/our-grants -- Six month report: http://www.mcdowellfoundation.org/Websites/mcdowellfoundation/images/PDFs_2014/BetTzedekReport-6mo.PDF Year end report: http://www.mcdowellfoundation.org/Websites/mcdowellfoundation/images/PDFs_2014/BetTzedekReport-YearEnd.PDF. Affected regions: FIXME; affected countries: FIXME. Florida Institutional Legal Services Project 10,000.00 33 2014 FIXME http://www.mcdowellfoundation.org/our-grants -- Six month report: http://www.mcdowellfoundation.org/Websites/mcdowellfoundation/images/PDFs_2014/FILSReport-6mo.pdf Year end report: http://www.mcdowellfoundation.org/Websites/mcdowellfoundation/images/PDFs_2014/FILSReport-YearEnd.pdf. Affected regions: FIXME; affected countries: FIXME. Heart Alliance's National Immigrant Justice Center (NIJC) 10,000.00 33 2014 FIXME http://www.mcdowellfoundation.org/our-grants -- Six month report: http://www.mcdowellfoundation.org/Websites/mcdowellfoundation/images/PDFs_2014/NIJCReport-6mo.pdf Year end report: http://www.mcdowellfoundation.org/Websites/mcdowellfoundation/images/PDFs_2014/NIJCReport-YearEnd.pdf. Affected regions: FIXME; affected countries: FIXME. Legal Aid Justice Center 10,000.00 33 2014 FIXME http://www.mcdowellfoundation.org/our-grants -- Six month report: http://www.mcdowellfoundation.org/Websites/mcdowellfoundation/images/PDFs_2014/LAJCReport-6mo.PDF Year end report: http://www.mcdowellfoundation.org/Websites/mcdowellfoundation/images/PDFs_2014/LAJCReport-YearEnd.PDF. Affected regions: FIXME; affected countries: FIXME. National Advocates for Pregnant Women 10,000.00 33 2014 FIXME http://www.mcdowellfoundation.org/our-grants -- Six month report: http://www.mcdowellfoundation.org/Websites/mcdowellfoundation/images/PDFs_2014/NAPWReport-6mo.pdf Year end report: http://www.mcdowellfoundation.org/Websites/mcdowellfoundation/images/PDFs_2014/NAPWReport-YearEnd.PDF. Affected regions: FIXME; affected countries: FIXME. 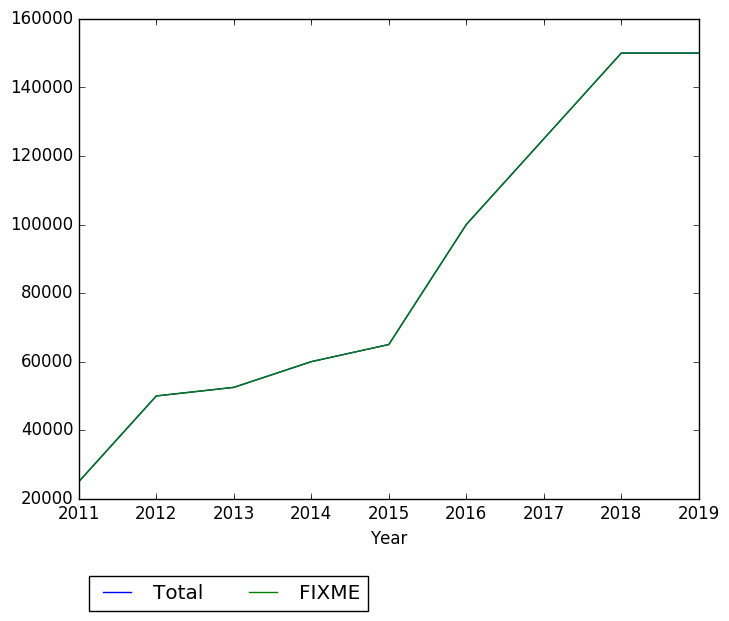 New York Lawyers for the Public Interest 10,000.00 33 2014 FIXME http://www.mcdowellfoundation.org/our-grants -- Six month report: http://www.mcdowellfoundation.org/Websites/mcdowellfoundation/images/PDFs_2014/NYLPIReport-6mo.pdf Year end report: http://www.mcdowellfoundation.org/Websites/mcdowellfoundation/images/PDFs_2014/NYLPIReport-YearEnd.pdf. Affected regions: FIXME; affected countries: FIXME. Juvenile Justice Project of Louisiana 10,500.00 28 2013 FIXME http://www.mcdowellfoundation.org/our-grants -- Six month report: http://www.mcdowellfoundation.org/Websites/mcdowellfoundation/images/PDFs_2013/JJPLReport-6mo.pdf Year end report: http://www.mcdowellfoundation.org/Websites/mcdowellfoundation/images/PDFs_2013/JJPLReport-YearEnd.pdf. Affected regions: FIXME; affected countries: FIXME. National Housing Project 10,500.00 28 2013 FIXME http://www.mcdowellfoundation.org/our-grants -- Six month report: http://www.mcdowellfoundation.org/Websites/mcdowellfoundation/images/PDFs_2013/NHLPReport-6mo.pdf Year end report: http://www.mcdowellfoundation.org/Websites/mcdowellfoundation/images/PDFs_2013/NHLPReport-YearEnd.pdf. Affected regions: FIXME; affected countries: FIXME. National Immigrant Justice Center 10,500.00 28 2013 FIXME http://www.mcdowellfoundation.org/our-grants -- Six month report: http://www.mcdowellfoundation.org/Websites/mcdowellfoundation/images/PDFs_2013/NIJCReport-6mo.pdf Year end report: http://www.mcdowellfoundation.org/Websites/mcdowellfoundation/images/PDFs_2013/NIJCReport-YearEnd.pdf. Affected regions: FIXME; affected countries: FIXME. New Mexico Center on Law and Poverty 10,500.00 28 2013 FIXME http://www.mcdowellfoundation.org/our-grants -- Six month report: http://www.mcdowellfoundation.org/Websites/mcdowellfoundation/images/PDFs_2013/NMCLPReport-6mo.pdf Year end report: http://www.mcdowellfoundation.org/Websites/mcdowellfoundation/images/PDFs_2013/NMCLPReport-YearEnd.pdf. Affected regions: FIXME; affected countries: FIXME. North Florida Center for Equal Justice, Inc. 10,500.00 28 2013 FIXME http://www.mcdowellfoundation.org/our-grants -- Six month report: http://www.mcdowellfoundation.org/Websites/mcdowellfoundation/images/PDFs_2013/NFCEJReport-6mo.pdf Year end report: http://www.mcdowellfoundation.org/Websites/mcdowellfoundation/images/PDFs_2013/NFCEJReport-YearEnd.PDF. Affected regions: FIXME; affected countries: FIXME. Immigrant Law Center of Minnesota 5,000.00 43 2012 FIXME http://www.mcdowellfoundation.org/our-grants -- Six month report: http://www.mcdowellfoundation.org/Websites/mcdowellfoundation/images/PDFS_2012/ILCM.pdf Year end report: http://www.mcdowellfoundation.org/Websites/mcdowellfoundation/images/PDFS_2012/ILC_YE2011.pdf. Affected regions: FIXME; affected countries: FIXME. Legal Aid Justice Center 10,000.00 33 2012 FIXME http://www.mcdowellfoundation.org/our-grants -- Six month report: http://www.mcdowellfoundation.org/Websites/mcdowellfoundation/images/PDFS_2012/LegalAidJusticeCenter.pdf Year end report: http://www.mcdowellfoundation.org/Websites/mcdowellfoundation/images/PDFS_2012/LegalAid_YE2011.pdf. Affected regions: FIXME; affected countries: FIXME. National Center for Law and Economic Justice 10,000.00 33 2012 FIXME http://www.mcdowellfoundation.org/our-grants -- Six month report: http://www.mcdowellfoundation.org/Websites/mcdowellfoundation/images/PDFS_2012/GeraldHartmanLetterreHawaiiUpdate.pdf Year end report: http://www.mcdowellfoundation.org/Websites/mcdowellfoundation/images/PDFS_2012/NCLEJ_YE2011.pdf. Affected regions: FIXME; affected countries: FIXME. The National Immigrant Justice Center 10,000.00 33 2012 FIXME http://www.mcdowellfoundation.org/our-grants -- Six month report: http://www.mcdowellfoundation.org/Websites/mcdowellfoundation/images/PDFS_2012/NIJC.pdf Year end report: http://www.mcdowellfoundation.org/Websites/mcdowellfoundation/images/PDFS_2012/NIJC__YE2011.PDF. Affected regions: FIXME; affected countries: FIXME. The National Law Center 10,000.00 33 2012 FIXME http://www.mcdowellfoundation.org/our-grants -- Six month report: http://www.mcdowellfoundation.org/Websites/mcdowellfoundation/images/PDFS_2012/NLCHPGrantProgressReport.pdf Year end report: http://www.mcdowellfoundation.org/Websites/mcdowellfoundation/images/PDFS_2012/NLC_YE2011.pdf. Affected regions: FIXME; affected countries: FIXME. The Public Justice Center 5,000.00 43 2012 FIXME http://www.mcdowellfoundation.org/our-grants -- Six month report: http://www.mcdowellfoundation.org/Websites/mcdowellfoundation/images/PDFS_2012/PJCReport2012April9.pdf Year end report: http://www.mcdowellfoundation.org/Websites/mcdowellfoundation/images/PDFs_2013/PJC-Final-Report-2013.pdf. Affected regions: FIXME; affected countries: FIXME. Brennan Center for Justice 5,000.00 43 2011 FIXME http://www.mcdowellfoundation.org/our-grants -- Six month report: http://www.mcdowellfoundation.org/Websites/mcdowellfoundation/Images/PDFs/Brennan6MonthReport.pdf Year end report: http://www.mcdowellfoundation.org/Websites/mcdowellfoundation/images/PDFs/Brennan2nd.pdf. Affected regions: FIXME; affected countries: FIXME. National Center for Law and Economic Justice 2,500.00 48 2011 FIXME http://www.mcdowellfoundation.org/our-grants -- Six month report: http://www.mcdowellfoundation.org/Websites/mcdowellfoundation/Images/PDFs/NCLEJ6Month.pdf Year end report: http://www.mcdowellfoundation.org/Websites/mcdowellfoundation/Images/PDFs/NCLEJ6Month.pdf. Affected regions: FIXME; affected countries: FIXME. George Washington University 5,000.00 43 2011 FIXME http://www.mcdowellfoundation.org/our-grants -- Six month report: http://www.mcdowellfoundation.org/Websites/mcdowellfoundation/Images/PDFs/DVLeap6Month.pdf Year end report: http://www.mcdowellfoundation.org/Websites/mcdowellfoundation/Images/PDFs/DVLEAP2nd.pdf. Affected regions: FIXME; affected countries: FIXME. National Immigrant Justice Center 5,000.00 43 2011 FIXME http://www.mcdowellfoundation.org/our-grants -- Six month report: http://www.mcdowellfoundation.org/Websites/mcdowellfoundation/Images/PDFs/NIJC6Month.pdf Year end report: http://www.mcdowellfoundation.org/Websites/mcdowellfoundation/Images/PDFs/NIJC2nd.pdf. Affected regions: FIXME; affected countries: FIXME. Mississippi Center for Justice 2,500.00 48 2011 FIXME http://www.mcdowellfoundation.org/our-grants -- Six month report: http://www.mcdowellfoundation.org/Websites/mcdowellfoundation/Images/PDFs/MississippiCenter6Month.pdf Year end report: http://www.mcdowellfoundation.org/Websites/mcdowellfoundation/Images/PDFs/MississippiCenter2nd.pdf. Affected regions: FIXME; affected countries: FIXME. American Civil Liberties Union 2,500.00 48 2011 FIXME http://www.mcdowellfoundation.org/our-grants -- Six month report: http://www.mcdowellfoundation.org/Websites/mcdowellfoundation/Images/PDFs/ACLU6Month.pdf Year end report: http://www.mcdowellfoundation.org/Websites/mcdowellfoundation/Images/PDFs/ACLU2nd.pdf. Affected regions: FIXME; affected countries: FIXME. Tahirih Justice Center 2,500.00 48 2011 FIXME http://www.mcdowellfoundation.org/our-grants -- Six month report: http://www.mcdowellfoundation.org/Websites/mcdowellfoundation/Images/PDFs/TahirihJusticeCenter6Month.pdf Year end report: http://www.mcdowellfoundation.org/Websites/mcdowellfoundation/Images/PDFs/Tahirih2nd.pdf. Affected regions: FIXME; affected countries: FIXME.